SAM has been designed to address autonomous vehicle reactions to unpredictable situations – one of the biggest obstacles to self-driving tech. The system will be used to recognize situations where the autonomous vehicle should NOT act on its own. In the instance of an accident, for example, where police officers are directing traffic over yellow lines, or in other ways that go against an autonomous car’s programming, SAM will safely pause the vehicle and request human commands. Here’s where it gets interesting. In this situation, SAM isn’t asking for the car’s passengers to act, but rather an available “mobility manager” (presumably some standby operator patched in through Wi-Fi). This manager will then assess the situation and craft a virtual lane for the car to trek. Once past the obstacle, the mobility manager will return control to the vehicle’s computer. This process is then communicated to other autonomous vehicles so they can follow the same route (and avoid engaging other mobility managers). SAM is modeled after NASA’s Visual Environment for Remote Virtual Exploration (VERVE) software, which is used to visualize and supervise interplanetary robots. Renault-Nissan will partner with DeNA, a Japanese internet company, to begin testing driverless vehicles for commercial services. The initial tests will start this year in Japan, and by 2020, the two entities hope to expand tests to commercial usage in Tokyo’s metropolitan area. Renault-Nissan will provide the vehicles and autonomous software, and DeNA will build a mobility service platform. The collaboration plans to launch tests in the U.S., Europe, China, and Japan. Nissan has also given a preview of some of the next-generation Leaf’s onboard technology. Highlighting the electric vehicle’s features will be ProPILOT, an autonomous driving function for single-lane highways. We don’t know exactly when to expect the new Leaf, but given the rapid growth of competition, it’s likely that Nissan is putting a rush on this model. Working in the car’s favor is a giant consumer base — to date, the Leaf has worldwide sales of more than 250,000. Renault-Nissan is furthering its partnership with Microsoft to build new connected car applications. Microsoft’s Cortana personal assistant will be used to improve convenience features for all passengers. Cortana will also let the car adapt to personalized driver settings, even understanding different driver preferences in a shared vehicle. Nissan is partnering with 100 Resilient Cities, a global nonprofit that helps cities build resilience to physical, social, and economic challenges. The collaboration will help cities prepare for autonomous driving, EVs, and new mobility services. 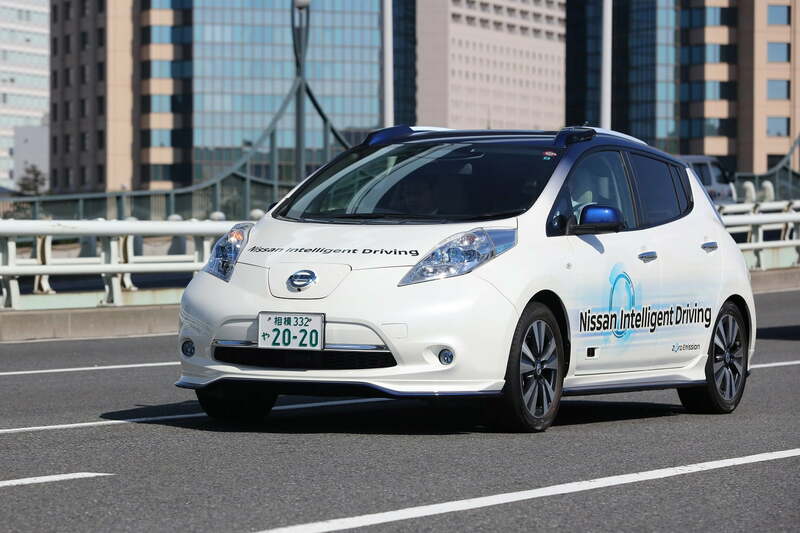 “The partnership between 100RC and Nissan will begin priming cities for new automotive technology, while creating better mobility for citizens, and building long-term resilience to the shocks and stresses cities may face,” said Ghosn.